I started practicing Yoga purely as a means to compliment my running. 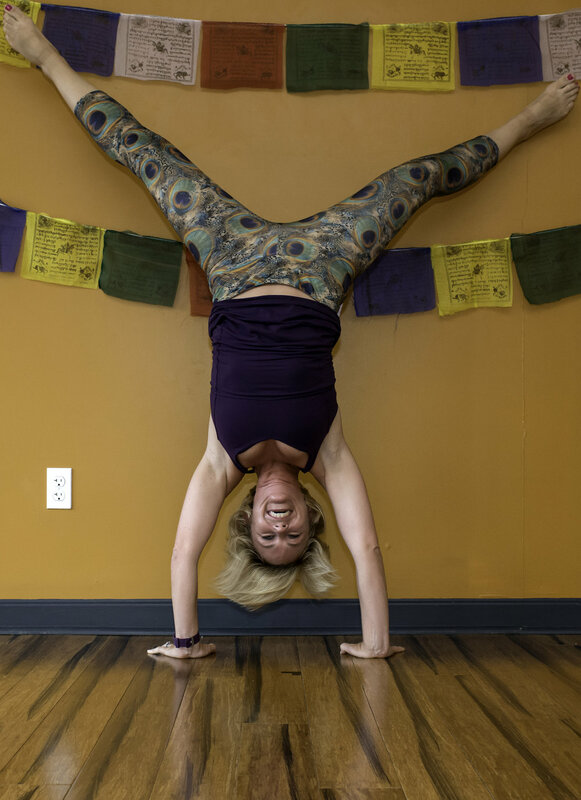 But I fell in love with the trio of meditation, self-inquiry and asana and completed my 200-hour teacher certification in 2014 with Johnna Smith at Anjali Power Yoga. I completed mentoring with Wanda Gilhool in May 2014 and have been teaching at Shine ever since. I completed Advanced Art of Assisting in 2016. My favorite pose is Crescent Lunge because it has the perfect balance of strength and ease, a balance I strive to bring in my daily life. Aside from Yoga, my other love is running and spending time with my husband, Brian and my children Joseph and Ava.